Weighing in at a colossal 5,400kg, the trucks in the European Truck Racing Championship are truly the heavyweights of motorsport. But size isn’t the only thing that’s extreme about these incredible machines. The Team Reinert Racing MAN TGS truck is powered by a huge 1,100hp turbocharged diesel engine. To get that phenomenal power from the engine to the tarmac is no easy task, which is why the truck takes advantage of a Mechanical 16-speed ZF gearbox to get it up to speed. 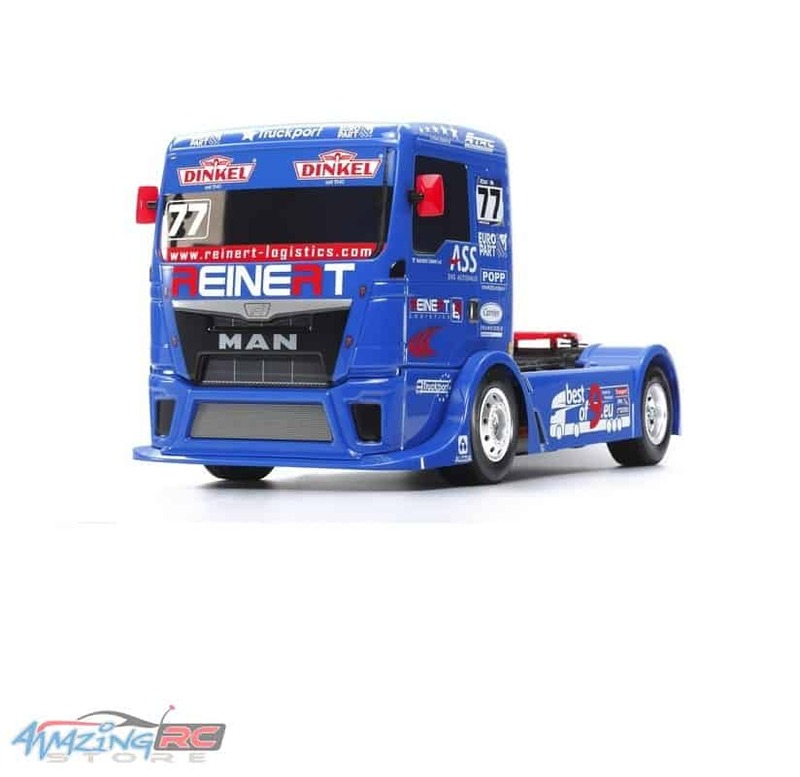 This Tamiya radio control replica faithfully captures the giant race truck of the Team Reinert Racing Team. It competed in the 2016 running of the FIA European Truck Racing Championship. The polycarbonate body sits atop the TT-01 E chassis, which is designed for easy assembly and maintenance.